Auraa Cinemas who had marked their presence in the distribution sector ventured into the production and have bank rolled two films titled “Arasiyalla ithellam saatharanampa” starring Veera and the much expected “100” starring Atharva and Hansika in the lead and directed by Sam Anton.The film is nearing completion in terms of post production and is expected to release by March.The production company with the intention of adding an impressive line up of films this year initiated the proceedings with an untitled film with G V Prakash and Raizal Wilson in the lead. The film has got an unique genre of being a “Fantasy Horror ‘. Guru Somasundaram, Ramar, Sha Ra, Anand Raj, Senthil play the other prominent roles. 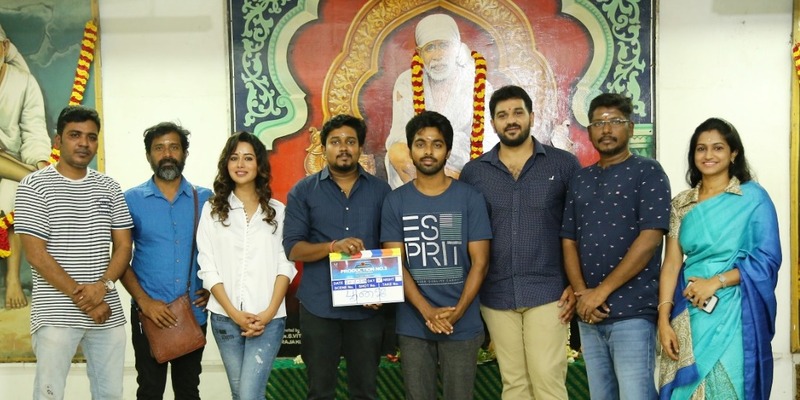 Debutant Director – Kamal Prakash who has shot into prominence with many well known short films with expertise in ad films is said to have narrated a script that assures the best of commercial visibility. It is to be noted that some of his ad films have won awads too. 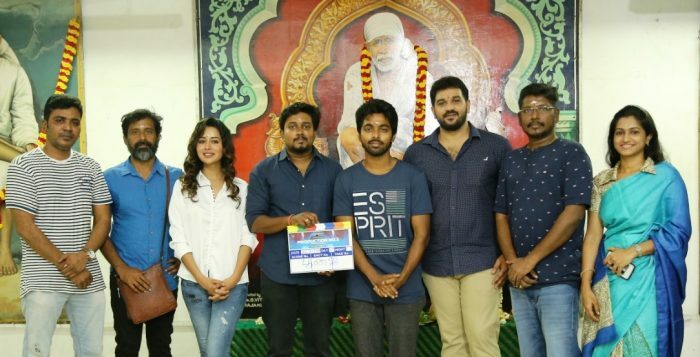 S Venakesh who had earned a very good name in the successful films like “Tik tik tik, Miruthan, Kodi fame mantles the responsibility as the Director of Photography. The Editor is Shiva of “Theeran Adhigaram Ondru” fame. The music is by GV Prakash Kumar himself. Kamalanathan is the art director and the Stunt sequences are orchestrated by Don Ashok. The muharat of this film was conducted in a temple hall in Chennai. “I am very thankful to Mahesh Govindarajan of (Auraa cinemas) and my hero GV Prakash for believing in me and my story. GV Prakash has got an impressive line up.of films this year and iam sure our film will be the icing on the cake for him. Raiza, high on her success (PPK) was very excited on hearing the script and hopped in on board. The project has shaped up very well with a very interesting cast, an array of talented technicians and a few surprises in the waiting. We are in search for an apt title and iam sure we will arrive upon a title that goes well with the script. Iam blessed with an excellent team both in terms of cast and crew. We are all set to commence the shoot shortly” declared the young and soft spoken Kamal Prakash with confidence . "Thamilarasan" VijayAntony's next launced by "Ilayaraja"
"Ilayaraja' introducing students as singers in "Tamilrasan"